The Town of Maynard Department of Public Works will begin annual hydrant flushing starting the week of April 30, 2018. 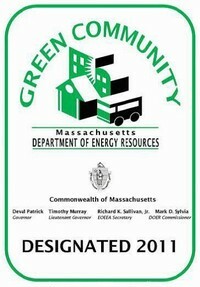 The Massachusetts Department of Environmental Protection encourages all public water supplies to complete hydrant flushing as part the water distribution system maintenance program. Hydrant flushing is part of the water system’s preventative maintenance program. Flushing helps to remove sediment from the distribution system which assists in maintaining water quality and clarity. Flushing also allows the Department of Public Works to test the hydrants for adequate flow and pressure, identify leaks in the distribution system and inspect gate valves. While flushing hydrants in your neighborhood you may experience temporary discoloration of water in your home. High velocity flows during flushing scour sediment from inside the water mains. While most of the sediment is flushed from the pipes, a small amount will remain suspended in the water and my cause the temporary discoloration. 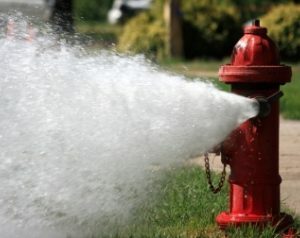 Once hydrant flushing is completed in your area, please make sure that both your hot and cold water are running clear. The Department of Public Works recommends running the hot and cold water faucets in your home for five to ten minutes after flushing is completed in your area. It is also recommended to change the water filter if you have a whole house filtration system installed in your home. Please note that discolored water may stain light colored laundry. There are a number of products available that can be added to your laundry to prevent stains. If you have any questions or concerns regarding hydrant flushing, please contact the Maynard Department of Public Works at (978) 897-1317 or by e-mail at dpw@townofmaynard.net.